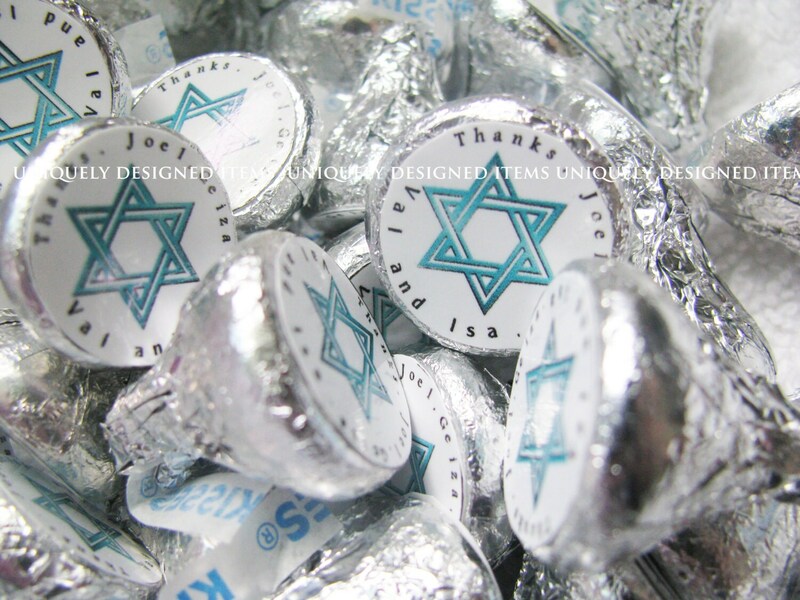 These Personalized Bar Mitzvah & Bat Mitzvah Hershey's Kisses Favors are the perfect treat for your special day. 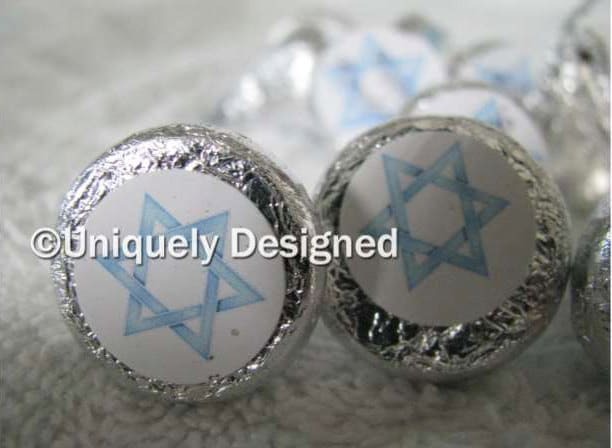 Personalize these mouthwatering little drops and put a smile on your guest faces. 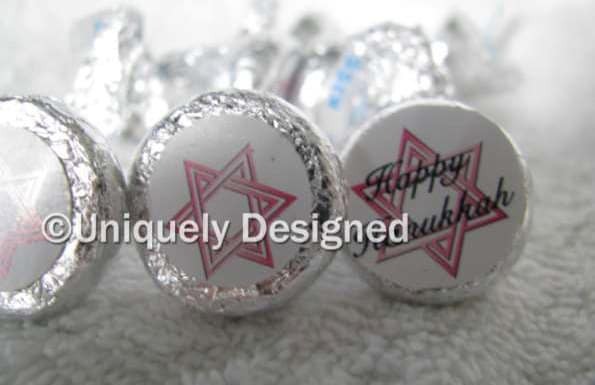 Hershey kisses are 25 cents each. This listing is 150. You can order more. Please convo me and I'll adjust the listing to the amount you need. No order is too small or too large. 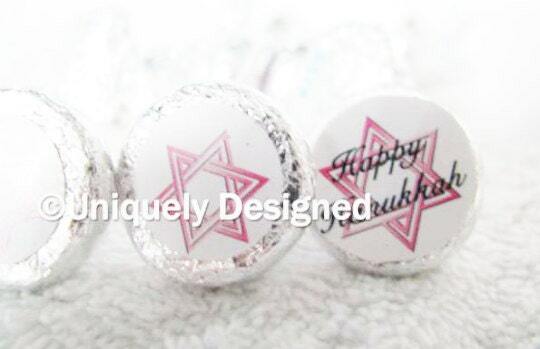 Star of David is available in pink and blue. And I offer custom designs as well.